To register for a FREE Ticket to the event click here! 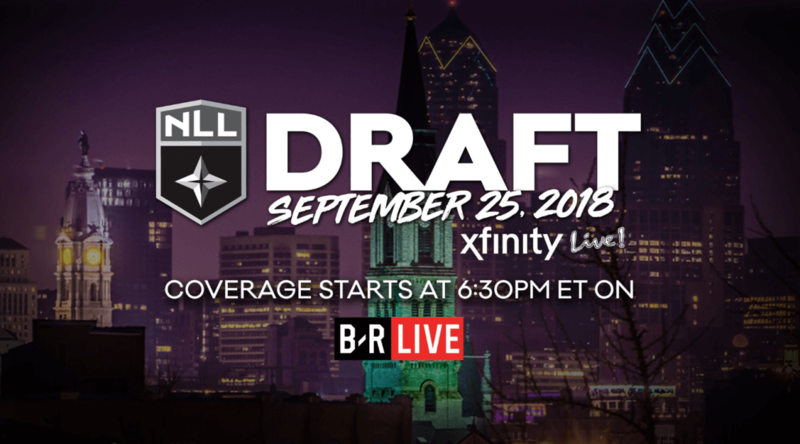 PHILADELPHIA, August 9, 2018 – The National Lacrosse League announces that the 2018 NLL Entry Draft will take place at Xfinity Live! on Tuesday, September 25th, 2018 in Philadelphia, Pennsylvania. The draft will move to Philadelphia’s premier entertainment and dining venue after being held at the Toronto Rock Athletic Centre for several years. U.S., it was important to host the Entry Draft in one of America’s most iconic cities with the generous support of its agencies, including the Philadelphia Convention and Visitors Bureau.